0400-0800 on  9400 KCH 300 kW / 130 deg to WeAs Kurdish, 0748-0749 co-ch RFI French!!! 1600-2000 on  9400 KCH 300 kW / 116 deg to WeAs Kurdish, or ISS tx ??? Oct. 21, 2014 – Global 24 Radio LLC announced today that its inaugural broadcast will go live at 7:00 p.m., Friday, Oct. 31, with a line-up of new and well-known programs and around-the-clock English language programming. The broadcast can be heard 24 hours a day, 7 days a week on 9395 kHz on WRMI broadcasting from Okeechobee, Florida. Global 24 aims to revitalize the shortwave medium by bringing general interest news and entertainment into sharper focus for listeners looking for high quality programming on a daily basis. Regular listeners will be informed, entertained and engaged in an ever more complex world. Additional press releases in coming days will announce our broadcast schedule, our Listeners’ Club, contests, sponsors, our web store, staff and much more. Follow us on Twitter at @Global24Radio or on Facebook at https://www.facebook.com/global24radio. Visit our website: http://www.global24radio.com to join our email newsletter for the most current updates. 0600-0605 on 11945 SHP 100 kW / 100 deg to SPac, instead of English! 2230-0600 UTC, it is Maintenance day at our transmitter site Rangitaiki. from 1200 on 15795*WCR 100 kW / 046 deg to WeEu, instead of 15825. 1600-1730 NF  7530 TAC 100 kW / 070 deg to KRE in Korean, ex 7520. 0300-0400 on  7730 YFR 100 kW / 222 deg to MEXI Spanish R.Taiwan Int. RTÉ is postponing the closure of its long wave radio transmitter, the Managing Director of RTÉ Radio has told the Joint Committee on Transport and Communications. Jim Jennings said what was evident was that more time was needed to engage with groups affected. The closure has been postponed to 19 January 2015. RTÉ had previously announced that it would be ceasing its service from the Clarkstown long wave transmitter on 27 October and migrating its Radio One service to digital platforms. Mr Jennings said the decision to cease any RTÉ public service is not something that RTÉ takes lightly or without serious consideration. He said: "We know that such decisions affect audiences who enjoy and rely on RTÉ's services. "However, we also know that the public expect us to manage our operations and services efficiently and evolve our services as technology changes and audiences adapt. "In balancing these broad considerations we have come to the decision that now is the right time to cease our long wave Radio One service after ten years on air." Mr Jennings said an RTÉ delegation will travel to the UK next week to meet organisations and see if there is a better solution to the long wave issue. He said RTÉ is doing all it can to engage with community groups. RTÉ accepts that the window given for closure was too short and a longer window was needed, he added. Separately, RTÉ News has announced that it is to appoint a new London Correspondent. RTÉ News and Current Affairs Managing Director Kevin Bakhurst said it would be a smaller operation than before, but "would continue to provide the same high quality of coverage expected by the public of RTÉ News". Mr Bakhurst said the appointment "has been in our plans for some time, but has been curtailed by the ongoing financial restraints facing RTÉ". "Thanks to significant savings in closing our old office over the last two years as well as redeploying the staffing costs of the Europe Correspondent post we are now in a position to make an appointment." The post will be advertised internally in the coming weeks. from 1100 UTC, Oct.11 till 2200 UTC, Oct.14 will be published tommorow. 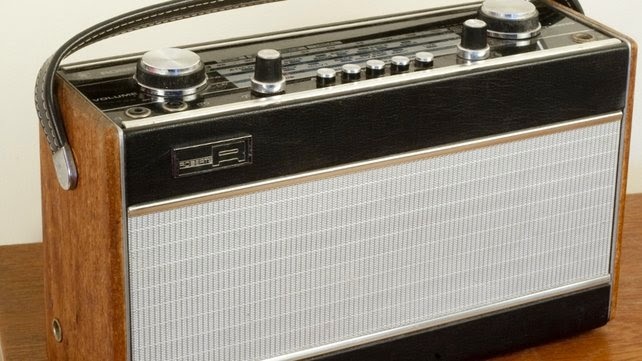 RTÉ has announced the imminent closure of its longwave service, which was the last remaining broadcast radio service still available to the Irish in the UK. The move comes six years after the shutdown of its medium-wave service. At that time, RTÉ officials assured the Irish abroad of its commitment to them, and that the longwave service would continue. The shutdown, announced with only one month’s notice, is scheduled to take place on October 27th. The news is unlikely to cause a stir in Ireland. RTÉ says 98 per cent of its listeners have other options. Most of us used to spending our days online could be forgiven for wondering why on earth this technology wasn’t mothballed years ago. Who will be affected? The Irish in the UK, particularly the elderly and vulnerable, will have a vital link with home permanently severed. This is a group that is unlikely to protest. Many won’t even know they’re about to lose their radio service until the day they go to turn it on and it’s not there. RTÉ has been broadcasting Radio 1 to Britain since 1932. Older people rely on it as a valuable link with a country they left years ago; for many, it is their last link with Ireland. RTÉ says listeners in the UK can tune into the station on the internet or satellite, but these solutions, which require cost and know-how, will be inaccessible for many. RTÉ’s digital radio alternative, DAB, has no reach in either Britain or the North. Longwave is not perfect: it’s unusable at night, when its signal is overpowered by an Algerian station sharing the same channel. But it keeps people connected during the day, and many people use it to listen to GAA matches from home. Last week Brendie O’Brien, chairman of the GAA in Britain, described the impending shutdown as “a massive setback to the whole of the Irish community”. Six years ago, I was among those who campaigned against RTÉ’s move to shut down medium-wave radio, which also served the Irish community in the UK, because it would adversely affect the emigrants of the 1950s and 1960s. That generation sent home millions of pounds in remittances and were, in return, largely forgotten by Ireland, until a spate of consciousness-raising in the 1990s. Then the media revealed there were high levels of poverty and isolation among this elderly group. Ireland began to step up its commitment to Irish emigrants and the diaspora. The appointment of Jimmy Deenihan as Minister of State for the Diaspora is the latest in a series of positive steps. There are blind spots, however, and the shutdown of medium wave and now the shutdown of longwave demonstrate how far we need to go in ensuring we look after the last of that generation of emigrants who gave so much and were given so little in return. 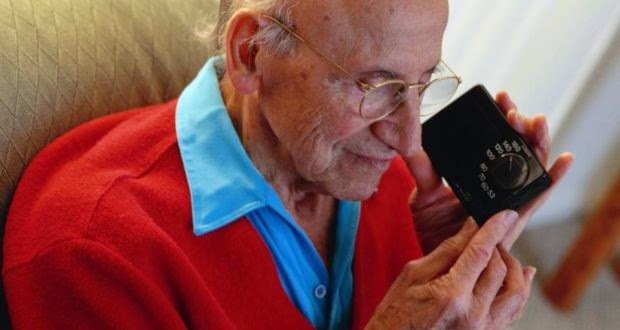 It would cost little to continue the service for a few more years, until digital forms of broadcasting become a viable alternative for our oldest citizens. We’re just not there yet. RTÉ, which turned a pre-tax profit last year of more than €1 million, hasn’t said how much it will save by shutting down the service. The main savings will likely be in power costs. RTÉ has refused an FOI request to reveal those, but a reasonable estimate would suggest the electricity to run the transmitter costs about €150,000 per year. As for how many people are affected, the facts are unclear. The Irish community in Britain number over 400,000 first-generation Irish alone. They come from a country where more than 80 per cent of people are daily radio listeners. But RTÉ doesn’t count its overseas audience, so we just don’t know. Will anyone care about the effects of shutdown? The decision-makers at RTÉ seem to be dismissing them. Will the new diaspora minister? Our politicians? The rest of us? Possibly. But we should be aware of what this means: our public broadcaster is severing a vital link with Ireland from a generation that gave so generously when Ireland had so little. It is the oldest, the most vulnerable and the most isolated who will miss it the most. This move should be postponed until there are better options that will suit all the Irish in Britain. Noreen Bowden is a web editor and advocate on Irish diaspora issues. She was formerly director of the Emigrant Advice Network and is the founder of GlobalIrish.ie.